The purpose of this module is to enable practitioners who have already undertaken a theoretical course in relation to newborn/infant examination but may not have fulfilled the necessary practical aspects of the course, to complete their training and be able to submit an accreditation of prior learning (APL) claim to gain academic credits at degree or masters level. The module consists of taught study days, clinical practice and self-directed learning. It will draw upon a range of learning strategies such as lectures, presentations, skills-based sessions, web-based learning, tutorials, group discussion, and classroom debate of issues in the contemporary literature and in clinical practice. The study days will take place at University, of Plymouth and lectures and tutorials will be delivered by University of Plymouth academic staff and by specialist clinical practitioners. Supervised practice, with designated mentor support, will be undertaken in appropriate clinical areas. Please note that at masters level this module is title 'Advanced newborn and infant examination (APL)'. 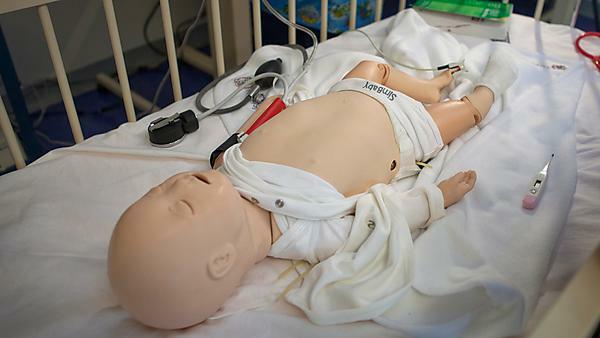 appraise and evaluate the evidence base in relation to examination of the newborn/infant. synthesise evidence and alternative approaches related to examination of the newborn within the professional and ethical context. The module dates are 12 February, and 4, 5 and 6 March 2019. At degree level, this module can be studied as a standalone module or as an optional module towards some of our BSc (Hons) Professional Development pathways. to study the module at masters level you must have previously studied to graduate level. Examination of the Newborn course from The Royal College of Midwives i-learn. Eligibility to undertake this module will be looked at on a case-by-case basis. The module lead for both modules is Rachel Stanyer.